The total compensation raised amounts to nearly Rs 6 crore. 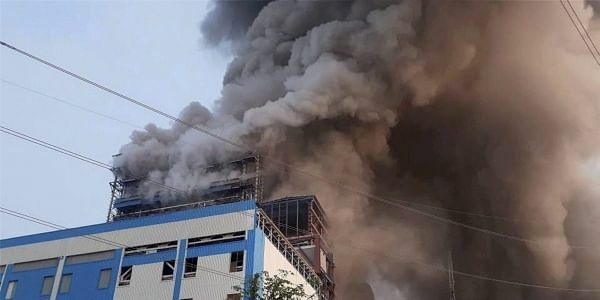 LUCKNOW: National Thermal Power Corporation (NTPC) on Monday announced an ex-gratia for the victims of Unchahar power plant explosion, which has been raised by company’s 23,000 employees by contributing their one-day salary. NTPC also stated that Unchahar station is “slowly recovering after the industrial accident”. “All medical expenses of those who are injured in the ill-fated incident are being borne by NTPC,” an official statement by NTPC said, further adding that the company’s officials are working round the clock to normalize the situation and provide the relief to the victims and their families. An officer has also been attached to each patient admitted in Delhi to take care of their respective requirement, while additional officers have reached Unchahar, Lucknow and Delhi for further assistance. On November 1, an ash-pipe exploded due to pressure at the state-run power giant’s Unchahar plant, claiming 22 lives, and injuring many. At present, a total of 39 patients are undergoing treatment- 22 in Delhi, and 17 in Lucknow. A total of 6 patients have been discharged from hospitals in Raebareli and Lucknow.